Prof. dr Božidar Radenković was born in 1958, in Pirot, Serbia. He finished primary and secondary school in Belgrade. Following that, he enrolled into the Faculty of Organizational Sciences, University Of Belgrade, earning an MSc degree in 1984. He completed his postgraduate studies in 1987, and then went on to defend his doctoral thesis titled “An interactive simulation system for discrete-stochastic simulation of organizational systems and its implementation on the mini and micro-computers” in 1989, again at the Faculty of Organizational Sciences, University of Belgrade. After ssuccesfully completing his studies, he became a teaching assistant on the course “Simulation and simulation languages​​” (1987), and then an assistant professor (1991), associate professor (1994), and full professor (1999) at the University of Belgrade. Prof. Radenković is the founder of Laboratory for simulation, and founder and chair of the Laboratory for e-business. He founded graduate and postgraduate studies in e-business in 2001 and was the head of those studies until 2005. He received scholarship from Austrian government for postdoctoral training at Wirtshaftuniversitat Wien in 1991. Prof. Božidar Radenković received scholarship from the Austrian government for postdoctoral training at Wirtshaftuniversitat Wien in 1991. He participated in the project: “Modeling and Simulation for Large Scale Discrete Event Systems” at the University of Paisley, Scotland, in 1992. Additionally, Prof. dr Radenković taught “Databases, Operating Systems and Computer Science III” at the Department of Mathematics and Computer Science at the Faculty of Science, “Fundamentals of computer technology” at the Faculty of Physics, University of Belgrade, “Distributed computing systems” at the University of the Yugoslav Army, and “Development of information systems in Internet environment” at the Faculty of Electrical Engineering, University of Banja Luka. 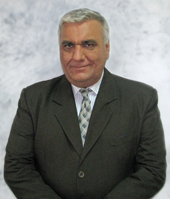 He created particular postgraduate studies in E-business on Faculty of Organizational Sciences, Belgrade in 2001 and until 2005, he was director of it. Additionally, Prof. dr Radenković has mentored more than fifteen master’s theses. Administration of YU Internet domain names, 1992-2008. President of the Program Committee for SINFON Symposium and YU-INFO, 1995-2001. President of the Board of the Association of IT activities in the Serbian Chamber of Commerce from 2001 to 2005. President of the UNESCO National Committee for ICT, 2003-2009. Chairman of the Board of National Register of Internet Domain Names of Serbia from 2006 to 2008. 1. Faculty of Science Kragujevac, Chairman of the Board, 2001-2002. Member of the Panel of Mathematical and Computer Sciences, 2000-2003. The head of the Seminar of the Department of Information Systems Faculty of Organizational Sciences, University Of Belgrade, 1994-2004. President of the Board of the Institute for Information Systems and Technology, 2003-2006. Editorial Board: Management, FON, 2000–2007. Editorial Board: Kragujevac Journal of mathematics, od 2001–2004. He published more than 200 scientific papers: over 30 in international journals with impact factor, over 10 in monographs issued abroad, and over 40 papers in proceedings of international symposia. Information system of Ministry of trade and services, 2008-2009., awarded with Discobolos as the best e-government project.